Notwithstanding the BJP’s victory in the Gujarat assembly elections, the results show a massive shift against the saffron party, and one of the contributing factors for this is Dalits and other marginalised sections voting against the party, which has failed to address their plight in the last 22 years. This is evident in the victory of Gujarat’s Dalit face Jignesh Mevani, who fought as independent supported by the Congress, by nearly 19,000 votes. A major reason for this was Congress leader Rahul Gandhi going all out in support of Dalits. Gandhi not only addressed a rally at Vadgam, from where Mevani was fighting, but sent out a clear message to the Dalits by reaching the Dalit Shakti Kendra (DSK) on November 24 to accept the largest national flag, prepared by DSK students, after it was refused by Gujarat chief minister Vijay Rupani earlier this year. The Dalits in Gujarat were also upset with the BJP, because not only its state leaders, but also Prime Minister Narendra Modi, did not utter a single word after the Una incident, in which five Dalits were thrashed by cow vigilantes on July 11, 2016. 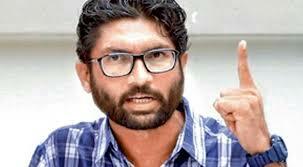 The incident led to rallies across Gujarat led by Mevani. These rallies were followed by an equally forceful campaign by Abhadchhed Mukt Bharat Andolan (Untouchability Free India Movement), in which Dalit members of the Gujarat legislative assembly and ministers were asked to explain what they had done to fight the discrimination against Dalits in Gujarat and whether they approved of attacks by cow vigilantes. No doubt, Dalits were perceptibly unhappy over the failure on the part of successive BJP governments in Gujarat to address the issues of untouchability. But as they form less than 6.7% of the state’s population (national average 16.6%), they did not seem to matter electorally. It is against this backdrop that the move gained momentum to revive the 1932 demand of BR Ambedkar to have separate electorate for Dalits. Martin Macwan, founder of Gujarat’s Dalit rights NGO Navsarjan Trust, reminded Rahul Gandhi at a rally at the DSK, where he had come to pick up the 185-foot national flag – a symbol of equality and patriotism – that even Congress MLAs had done little to raise caste-related issues in the state legislature. Gujarat may have progressed economically, but the view among Dalits is that untouchability and discrimination have not been addressed in Gujarat. Studies have found that in rural Gujarat caste discrimination remains intact, though the state government has sought to call this a matter “perception.” A 1976 study by well-known social scientist IP Desai said that 85% villages practised untouchability in the private spheres (barring entry to upper caste houses, temples, etc. ), 47% villages observed untouchability in the marketplace and exchange of services, and 18% villages practised untouchability in the public space (restricting access to public roads, school, transport, gram panchayat, etc.). Fresh studies show that things have hardly changed. A Navsarjan study, carried out in 1,589 villages, sponsored by the Robert E Kennedy Centre for Justice and Human Rights, found that in 98.4% of the villages inter-caste marriage was prohibited and inter-caste couples would be subjected to violence and would often have to leave the village; in 98.1% of the villages, a Dalit could not rent a house in a non-Dalit locality; in 97.6% of villages, Dalits touching the water pots or utensils of non-Dalits was considered defilement; in 90% of temples, Dalits were not be allowed an entry; and in 54% of government schools, Dalit children were made to sit separately.